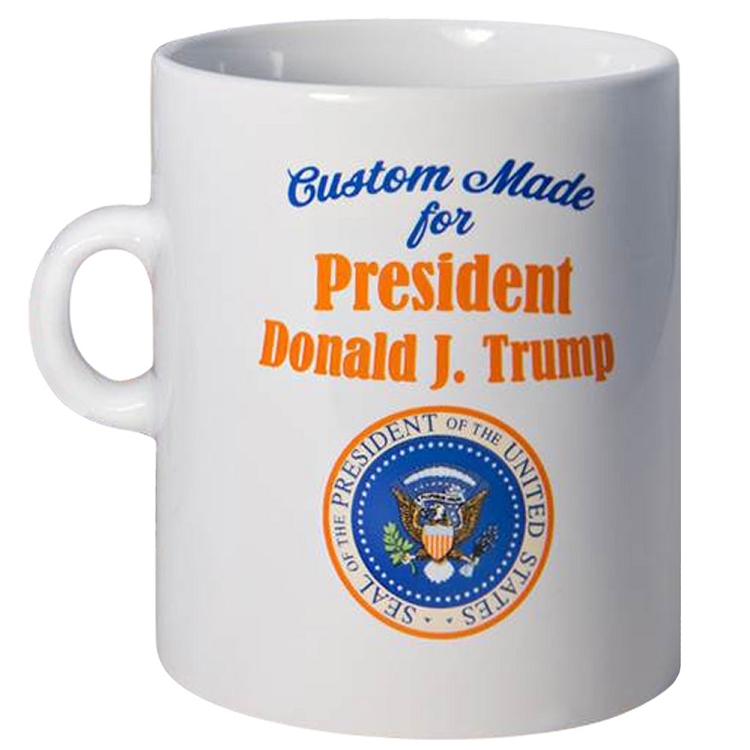 Word around the White House is that Trump cannot live without his morning cup of joe. Problem is, the handle was too big giving him horrible hand cramps. He even tried drinking from a straw and burned his tongue, making him call out for the day. Poor little Trump almost resigned due to this catastrophe! 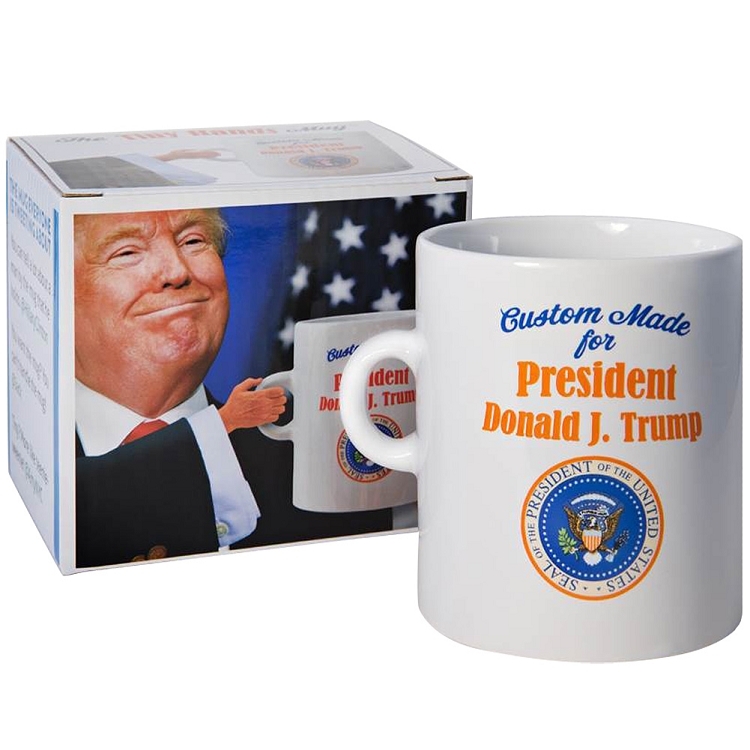 The issue was solved when the custom tiny hand mug was made specifically for Mr. Trump! 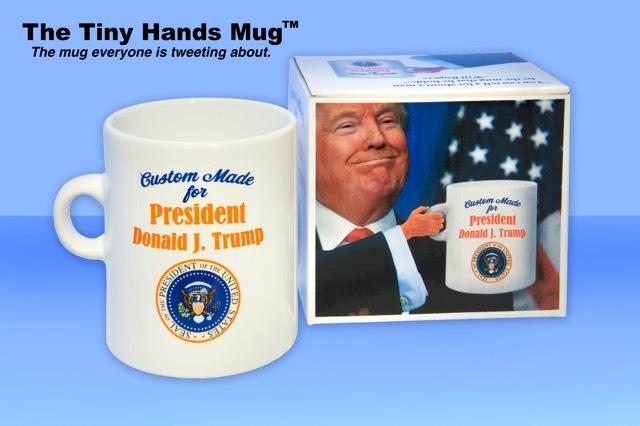 This mug has a tiny handle the size of an average index finger, so now Trump can avoid those hand cramps and tweet away.